It's essential that the wine enthusiast trains his/her palate to a new and diverse range of flavors and aromas. The skills required to properly analyze a wine are not some divine gift given only to a select few with extraterrestrial senses. To know if a wine smells like cherry, raspberry, coffee, or any number of aromas, the connoisseur must first taste and smell those elements as they are. That is to say, you must go to a farmers market and smell all the fruits and vegetables! 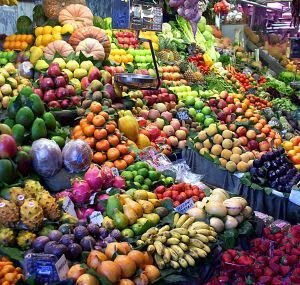 I work with luxury grocer and in my spare time when no one is in the cellar, I love to make my way over to the produce section and smell all the exotic fruits and those which I'm not entirely familiar with. I also suggest that you invest in a big fruit basket and fill it full of various fruits of all sorts, then take them home and taste them all. Take notes so you can remember the distinct aromas, flavors, and textures and then think of the wines you have tasted that remind you of these. This is an easy practice that I promise will help you to expand your palate and wine-vocab when analyzing wines in the future.